In typical funny fashion, Ryan Reynolds responds to Deadpool’s Oscar snub with a hilarious tweet. On Tuesday, the 89th Academy Awards nominations were announced and sadly Deadpool wasn’t on it. The good news is that Reynolds’ reaction to the news is SO Deadpool. We know that Deadpool was predicted early on to get a few Oscar nods, but since that wasn’t the case, the movie’s lead actor decided to respond on social media and it’s too funny. 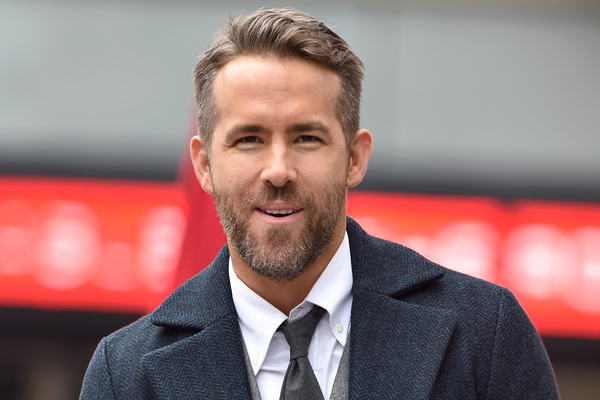 "Regularly scheduled tickle-fight at Camp #Deadpool is still on," Reynolds tweeted earlier this morning. “Congrats to all the nominees for these brilliant films. #Oscars2017,” he added. Even though Reynolds and the rest of his superhero flick family didn’t make the cut, you can still watch his For Oscar Consideration video and get a little laugh in on this Tuesday afternoon. It’s the least you can do right? Well, you’re not alone in wondering why Deadpool didn’t get even one nomination. Fans took to Twitter to talk about their disappointment. "Deadpool was obviously robbed of its rightful Best Picture nomination. ROBBED!!!! #Oscars2017 #deadpool," one Twitter user wrote. Best Picture might’ve been a lofty goal, but we would’ve liked to see the action film at least get one nod. It was such a great film. Oh, and any movie with Reynolds as the leading man deserves special recognition, don’t you think?